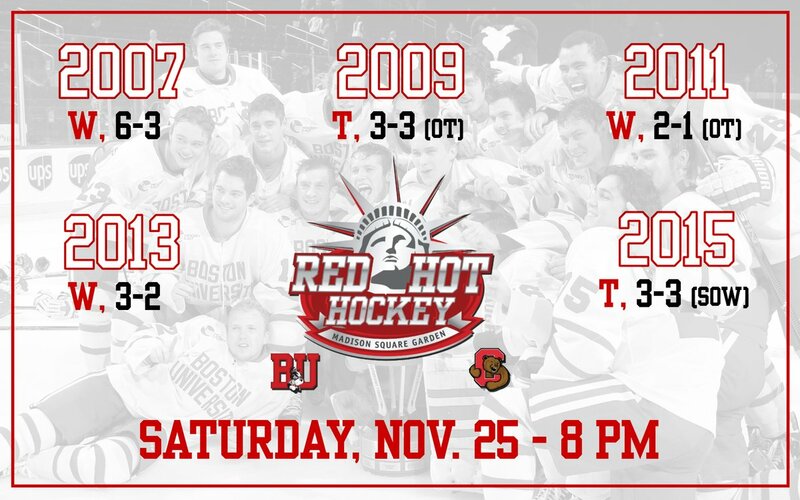 Saturday’s renewal of the Red Hot Hockey rivalry between BU and Cornell at Madison Square Garden will be broadcast live on TerrierTV at 8 p.m. 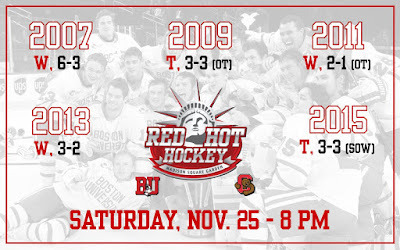 The game also will air on the Terrier Sports Radio Network. 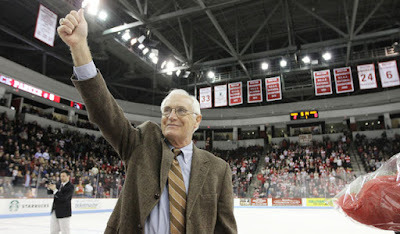 On Dec. 13, legendary Terrier coach Jack Parker will be inducted into the U.S. Hockey Hall of Fame. In a USHHOF article, Parker, who won 897 games, three NCAA titles and 11 conference championships, talked about his 40 years behind the BU bench. Also among the inductees are Parker’s former assistant, Ben Smith and a former player—and recent BU assistant—Scott Young. 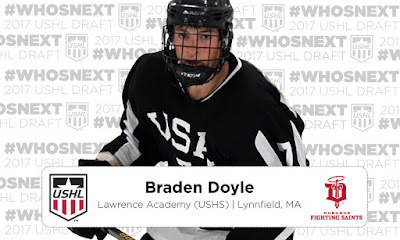 Neutral Zone has launched a free prep hockey Website with rosters, game recaps and box scores and stats on New England Prep Hockey. Future Terriers who will be playing in the prep ranks this season are: Braden Doyle, Lawrence Academy; Cade Webber, The Rivers School; and Drew Commesso and Liam Connors, St. Sebastian’s. Former Terriers coaching prep teams include: Tony Amonte, Thayer; Carl Corazzini, St. Mark’s, Shawn McEachern, The Rivers School; and Doug Friedman, Kents Hill..
Jack Eichel’s sixth goal gave Buffalo an early lead, but Minnesota would take a 5-4 decision. Charlie Coyle, who recently returned to the Wild line-up after recovering from a broken leg, recorded an assist for Minnesota. ● MercuryNews.com How is Danny O'Regan making an impact? Former Terrier co-captain John McCarthy scored the game winner for AHL San Jose in the Barracuda's 3-2 win over San Antonio. AJ Greer scored his fourth goal for the Rampage.